Exhibition catalogue for the ‘Naked City’ exhibition. 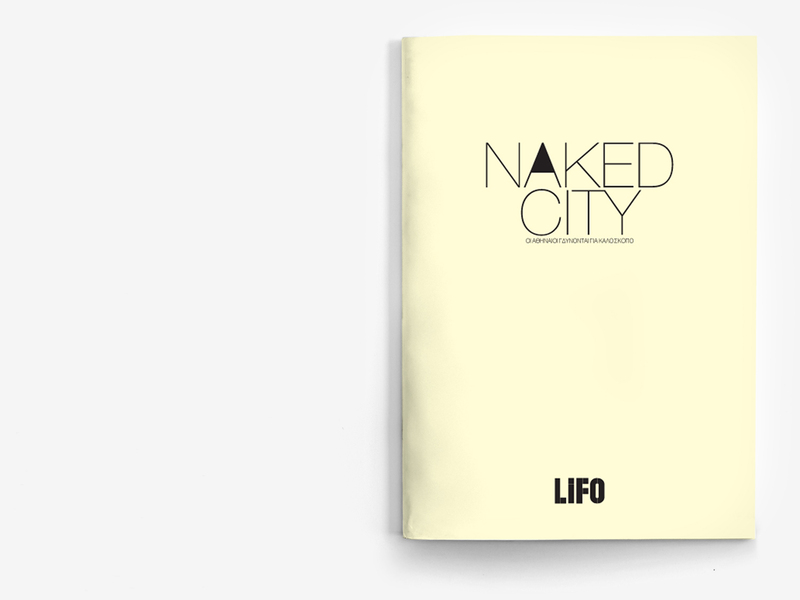 LIFO magazine ran for years a weekly photography column featuring naked Athenians. The exhibition brought all these images together at the Benaki Museum, where they went on sale for charity.